Please contact us through the form below if the RA position may be a good fit for you. Resident Advisor (RA) – Typically, Resident Advisors are college graduate students whose field of study relates to the PTI program, but ultimately, an RA is someone who is a good fit for the job and can give a commitment of two years. Each RA receives free on-site apartment style room and board in exchange for services rendered (see photos below for examples). An RA provides on-call and on-site coverage two weekday evenings and every other weekend for the PTI program. Their primary role is to provide support in the event of an emergency. However, RAs are so much more. RAs develop meaningful relationships with the young adults and are someone the residents can come to. One might imagine, when dealing with a mix of active young adults, there are any number of questions that might arise. The professional staff is always on-call in the event the RA requires assistance. In order to be considered for the RA position all candidates must pass a BCI&I and/or FBI background check and complete all training as required by the Ohio Department of Developmental Disabilities (paid for by PTI). Please be prepared to provide a resume describing work history and current academic status, including a transcript of courses completed together with your current class schedule. PTI is located in Stow, Ohio, near the Kent State University Airport and is 15 minutes from Kent State University and 20 minutes from the University of Akron. What Makes A Great RA? 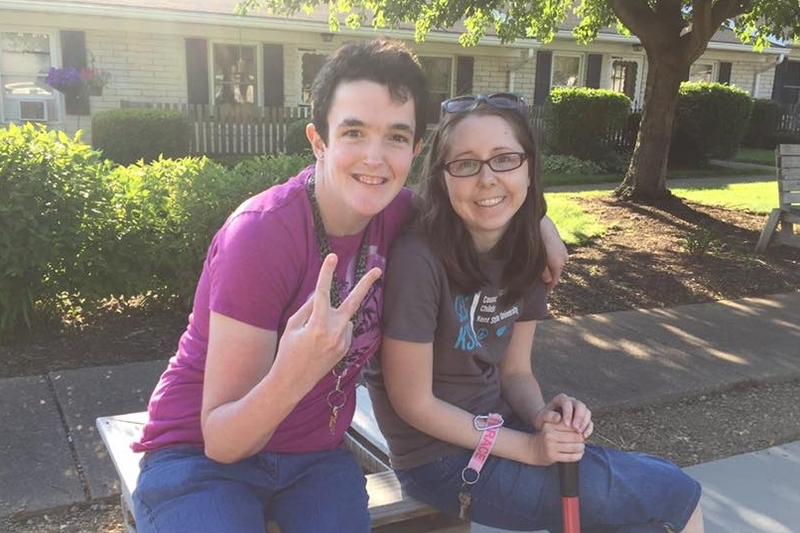 We look for an RA who is mature, social, fun-loving, and enthusiastic; someone who truly wants to connect and engage with our residents; someone who enjoys making our residents smile and laugh while also being authoritative when necessary in order to help the residents learn; someone who gets excited about planning activities with the residents that bring the group together and create lasting memories. Besides being ready to act in case of emergency, RAs provide light support as needed while on duty as well as plan and participate in activities with the young adult residents. While residents are able to live independently, often they may require guidance regarding social interactions with peers, basic apartment maintenance, problem solving, forming and maintaining healthy habits, planning, and much more. It is an RA’s job to encourage residents to resolve issues as independently as possible, while providing support as needed. Each RA receives free on-site apartment style room and board in exchange for services rendered. 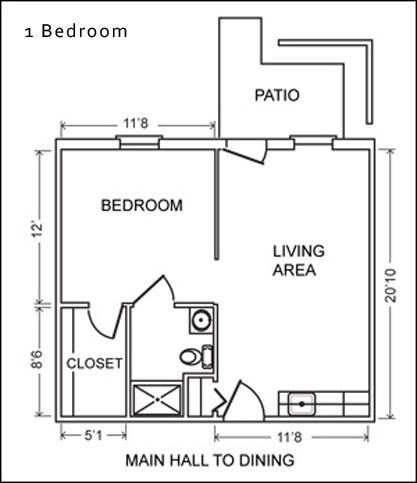 Each apartment has a combined kitchenette and living room area, one bedroom, a bathroom with standing shower, and a large walk-in closet. RAs receive one window air conditioner to use in the apartment while they are an RA. Each apartment also has a private entrance that leads to the outside with a patio with room for patio furniture and gardening! Apartment walls can be painted (but must be returned to original color upon moving out). 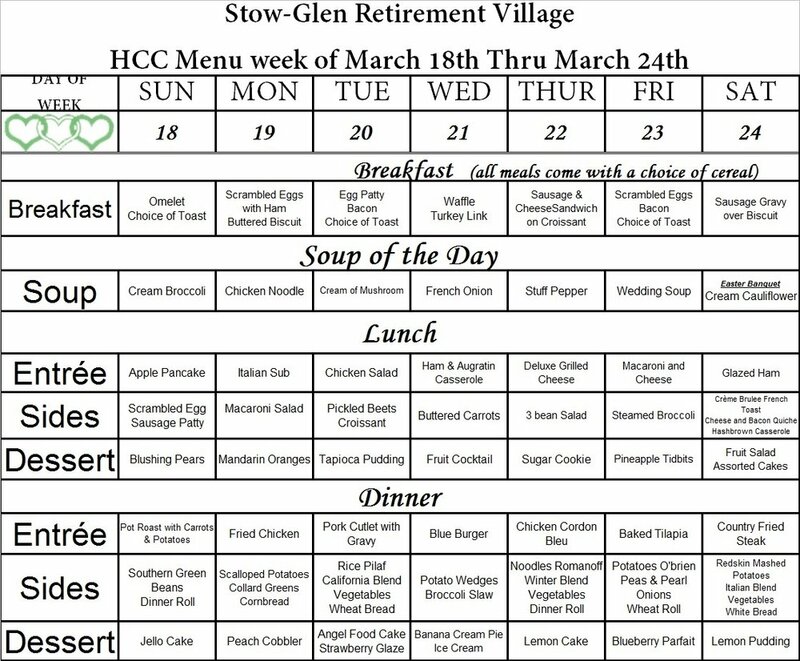 In addition to the apartment, RAs are entitled to two meals a day from the Stow Glen kitchen. RAs get a choice between breakfast, lunch, and dinner even when they are not on duty. There are set meals each day as well as an al la carte menu with many choices. A salad bar is available at lunch and dinner. Meals can be saved by the staff on duty if the RA off duty is not home to pick up their meal at meal times. Below are examples of the a weekly menu and the al la carte menu. This information is sent to Kayla McCullough, the Assistant Resident Director and is also seen by Directors, Chris and Janeen Webb.